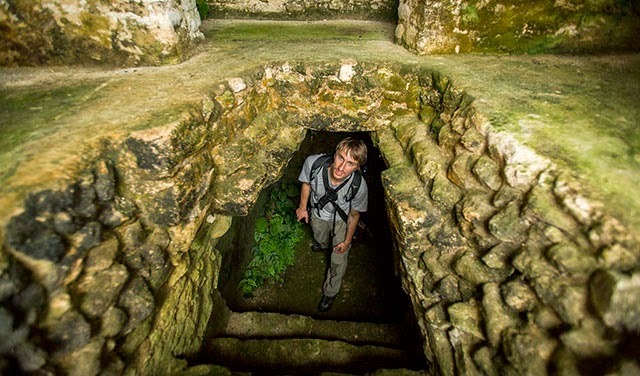 Caracol is not only the largest Maya site in Belize, it also figured prominently in the great Tikal-Calakmul rivalry of the Classic period. These three great cities came to prominence at around the same time in the Early Classic. Tikal came to dominate the lowland region soon after an apparent takeover by forces from Teotihuacán in the Valley of Mexico in 378 CE, while Calakmul appears to have been built by the same dynasty that ruled El Mirador; the great Preclassic site that was abandoned by 150 CE. The two fought each other throughout the Classic with one and then the other experiencing periods of ascendancy. 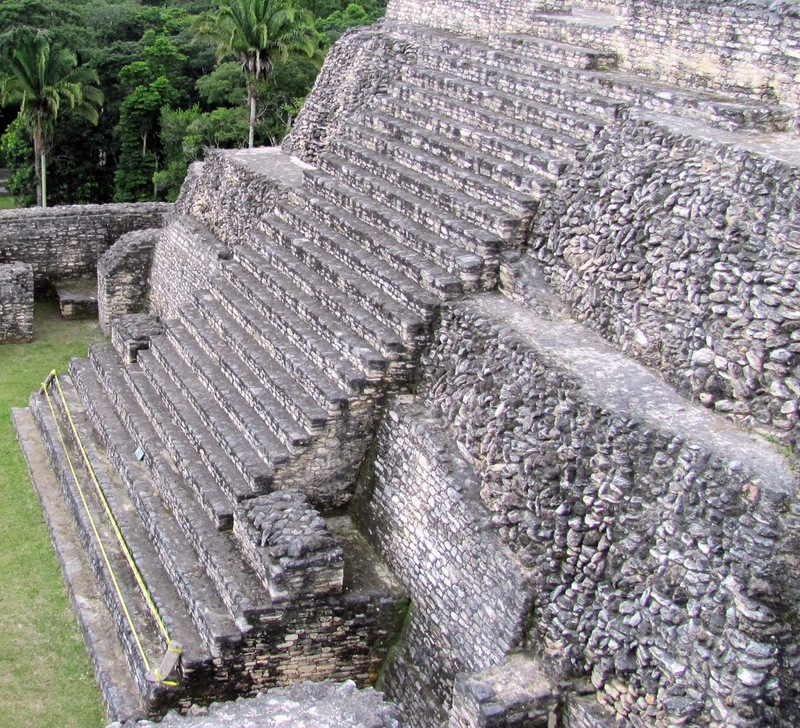 Caracol, which had formerly been Tikal’s ally, switched sides in 556 CE. Six years later Tikal fell to the Calakmul Alliance, which then maintained its position as the dominant power in the lowland region for over a hundred years. The main pyramid at Caracol is called Caana or “Sky Palace.” At 136 feet high it is the tallest Mayan building in Belize and the tallest man-made structure in the country. Caana contains four palaces and three temples. The palace rooms were originally coated with white stucco and decorated with red paint. More than 100 tombs have also been found, as well as a rich array of hieroglyphic inscriptions. Many hieroglyphic texts have been found on alters, ball-court-markers, capstones and wall facades. 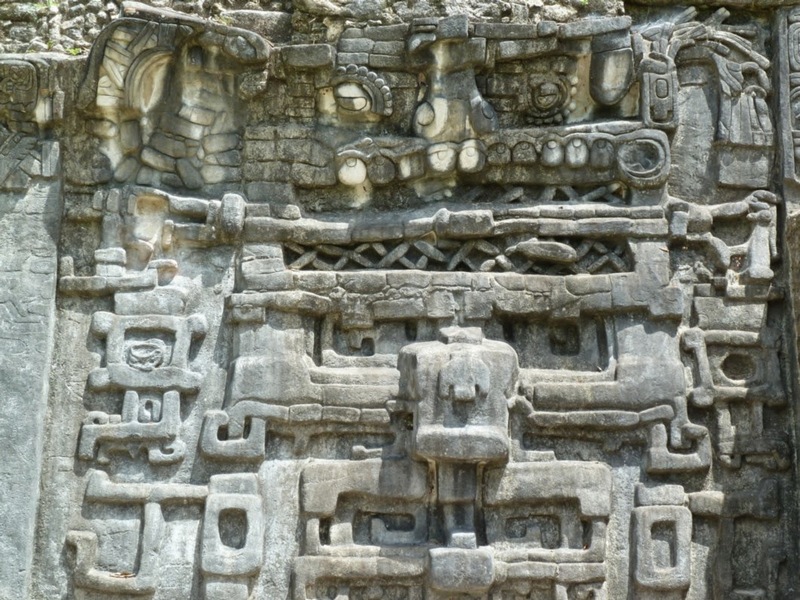 The discovery of an elaborately carved ball-court-marker dating back to the end of the early Classic Period has been interpreted as Caracol claiming a military victory over Tikal, located more then 60 miles away in Guatemala. Where Did Blue Eyes Originate From?